When it comes to cooking, usually aluminium foil is one of the top most used products. It stops chicken sticking to a baking tray, it saves washing up, it is easy to use… but the question is “How is this useful item dangerous?”. In Chemistry at Uni we have been covering a lot within elements and their dangers and ONE of which I thought I would share with you as it is pretty serious. Fact – Do we need aluminium in the body? Yes! However, it is not to be over consumed! To put it bluntly, the side effects of too much aluminium in the body as we understand is a main link to causing Alzheimer’s/Dementia and Bone Deficiencies. When I learnt this I called my parents to warn them, as well as my partners parents. They already KNEW! So why has this not spread to the next generation and how did they know? In 1988 – Cornwall had a massive accident where twenty tonnes of Aluminium Sulphate was mistakenly added to the water supply in housing around the area of Camelford, raising the concentration to 3,000 times the admissible amount. No one was to know. Through time, the general public started to become forgetful, develop brain problems, joint/bone issues and some even became incapable to work. ALL down to poor health conditions which continued to increase in numbers. So much so, blood samples were taken in around 2012 and this is when results came back with high levels of Aluminium. Cutting it short, they found out it was in the water and not only that, in those years, everyone cooked with Aluminium pots and pans too! Aluminium melts! This was a huge change for the world which is why many adults now are aware of these dangers. Aluminium is needed in the body, we get it in water with the right amount of dosage as well digesting it within our food. So why not cook with it?? If you cook with anything Aluminium (foil/pans etc), it ever so slightly melts into your food (not that noticeable within taste). Which is why you do not find aluminium based pots and pans much anymore. It is dangerous. Your pans should be fine. Instead of foil I now use non stick baking paper and it works just as good and I no longer will wonder. 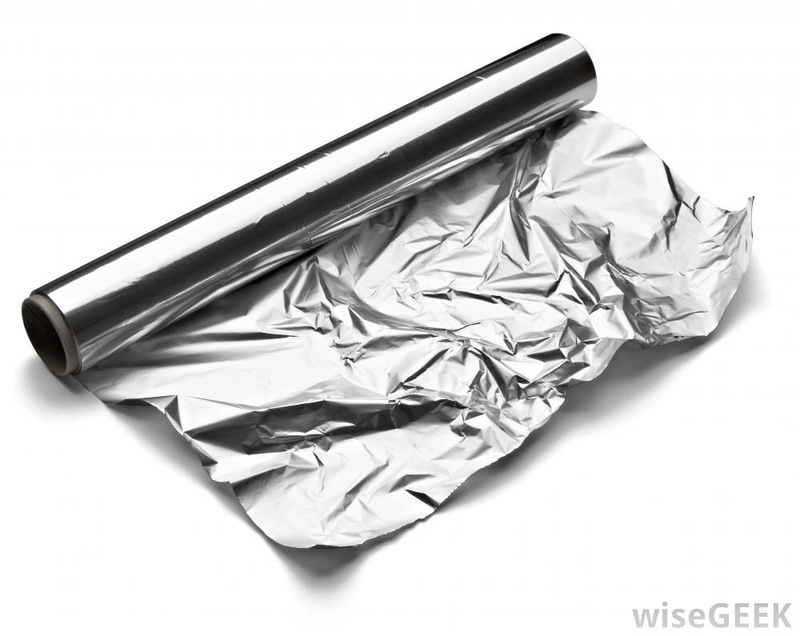 The only time I use foil is to cover a cold non acidic food or sandwich etc. I hope this becomes some use to all that have read this post.